A beautifully designed 1st communion veil that makes the perfect veil to wear for any little girl's first holy communion. 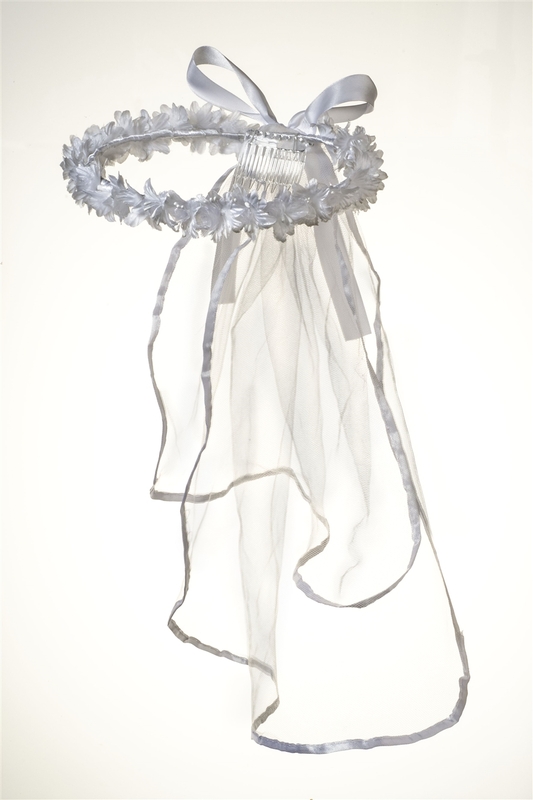 This veil features white flowers all around the crown, and a white veil with satin ribbon. The crown fits in the hair with the fixed hair comb.